When I walk into a corporate office I want to look capable, powerful & confident. I also want to look like me. And I like nice shoes! To me, there is nothing powerful about teetering about on stilettos, trying to keep up with the team as we all rush to the next meeting. Some people can walk powerfully and purposely in super high heels - I think I could too, pre kids, pre the extra 5kgs the kids have left me with and after years of practice. However five years living in sneakers (oh the blessing that they came back into vogue just as I gave birth to Isabella!) and Hobes (I won't be giving these up - but thats for another post) means now is not the time for me to reenact my days of 4+ inch heels in the office (truthfully, that day may never come!). I want something stylish, a little bit special, eye-catching and something that I can put on when I leave the house in the morning, wear on the train, all day at work and take off when I walk in the house at the end of the day. In any event, with open plan and hot-desking all the rage these days, there really isn't anywhere to keep a second pair of shoes for the commute. So, I've assembled a capsule wardrobe of 3 pairs. 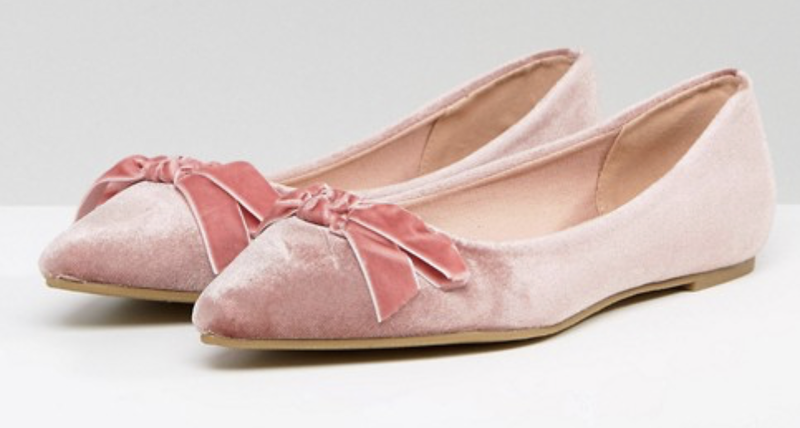 A pair of fun coloured flats - perfect with a black cigarette pant, cropped at the ankle. A low heel black pump - the classic work stable. I love Nicholas Kirkwood for his innovative take on the heel shape, giving the shoe a spot of difference. It is these heels I am taking with me when I get my suit pants taken up (nothing higher - I just won't wear a higher heel to the office regularly). A second heeled pump. 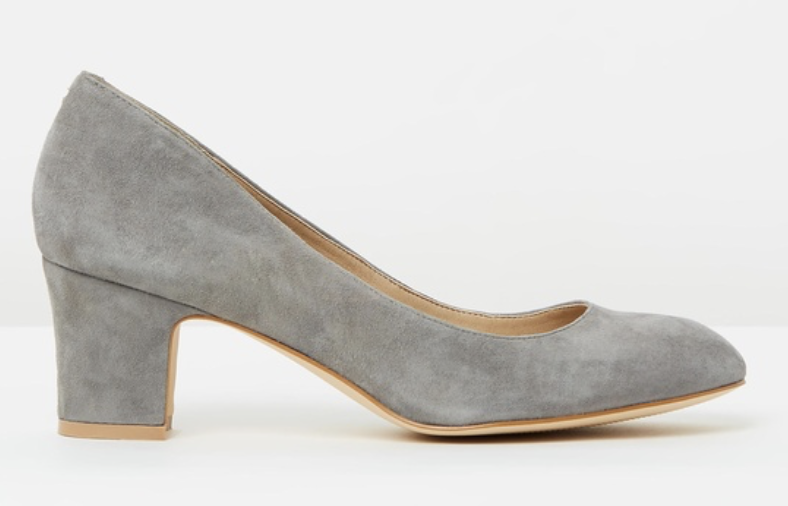 I have found this Nicholas Kirkwood style so comfortable (yes I have done the home - commute - work - commute - home test and they pass) that I ended up buying them in two colour ways. The grey is perfect with a navy pant. I think the comfort comes from a combination of the low heel and that the heel is a "block" heel, even if it is a triangle shaped block. 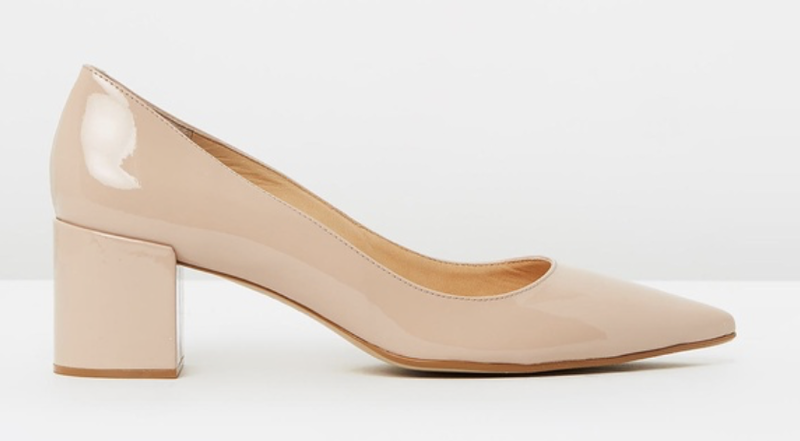 Admission: I would like to add one more pair; a closed toe heel with a similar heel height to the pumps (55cm) however in a pale beige leather.